In this post weâ€™re going to share 9 event marketing podcasts every event professional should subscribe to (or listen in at least ðŸ‘‚) . Just recently, I came across a post in one of the most popular Facebook Event Planning Groups, "The Delegate Wranglers". Someone was asking for recommendations of industry specific podcasts in the meetings, conference & events space. I thought we could do better so I started curating an overview of the best podcasts in one handy article. After listening to at least one episode from each podcast over the last couple of weeks and reading all the reviews on iTunes and Stitcher, here's the final list we came up with. Why You Should Listen? Hosts David Adler's and Beth Kormanik's excitement about events' effects electrifies. A quick, witty and deep podcast with golden nuggets of information and ideas. The podcast is best suited for anyone involved in planning events and meetings, from conferences, trade shows, and fund-raising galas to product launches, festivals & awards. David has a kind of hypnotic voice and you can't stop listening to him and his guests. I highly recommend this one on anyone's playlist. (Psst, Overcast is a great free, but powerful podcast player for iPhone, iPad, and Apple Watch). Why You Should Listen? Host Will Curran sits down with event industry influencers to discuss topics related to event management, event planning and event technology. The questions and answers provide insightful and actionable tips for newby planners and and seasoned event professionals alike. You can also join his Facebook group where you'll get access to the live episodes with video. Why You Should Listen? Will Curran is kind of a big deal in our industry. He is the gift that keeps on giving. Seriously, man! Together with Brandt Krueger of Event Technology Consulting, he re-launched the Event Tech Podcast in February 2019 and regularly features high calibre guests such as Scott Owens, Director of Event Technology at Salesforce. You can't go without event tech these days, so having a dedicated channel to discuss anything and everything event tech related makes total sense. Fact: You'll definitely get your weekly fix of inspiration and geekyness. If you don't know Event Industry News, you're seriously missing out on something. The well established online magazine for the events industry hosts weekly podcasts with event professionals from all walks of life to discuss our industry and share different angles on hot topics such as event technology & event planning. Why You Should Listen? 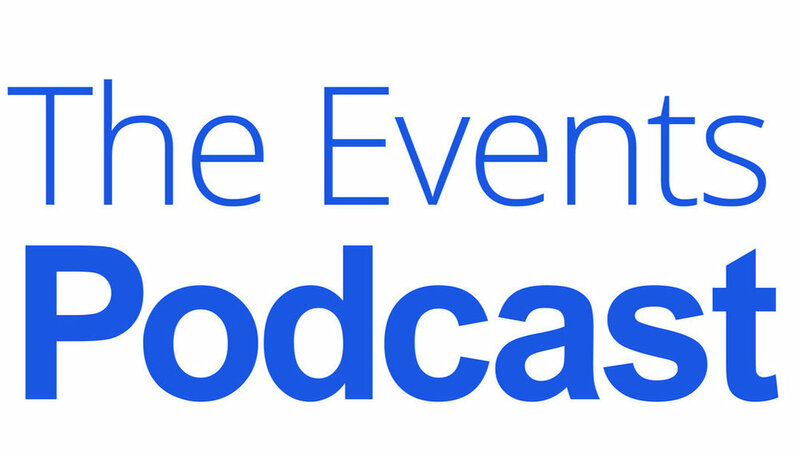 The EventLAB Podcast is a fortnightly window into the events conversation, featuring news, commentary and interviews with brands, venues and event suppliers. Guests have included senior figures from Twitter, Mash Media and Audley Travel. Each episode provides new inspiration, tips or actionable takeaways for those in the events world. Why You Should Listen? 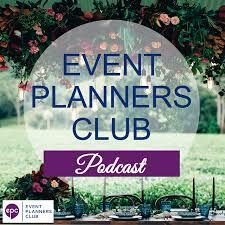 The Event Planners Club Podcast prings together event planning experts and vendors to share with you their best practices. Why You Should Listen? The Events Podcast provides tips, tricks and tactics to run profitable and stress-free meetups, conferences, and events of all kinds. Why You Should Listen? If you're living in the exhibition world, this short and sweet podcast is for you. Never exceeding more than 30 minutes and releasing only one episode per month, this podcast is geared towards the busy exhibition organizer. Why You Should Listen? The meetings industry is all about people and places. Now, you can also listen to interviews, latest news, and profiles on top meeting planners and destinations to get clued up on the latest.